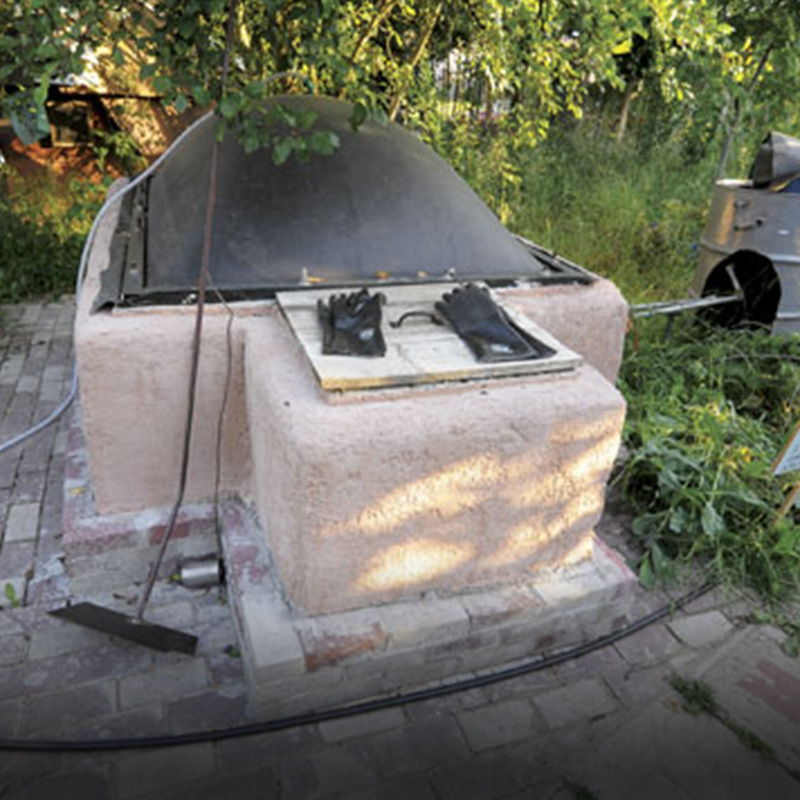 A biogas generator produces natural gas by transforming grass clippings, food waste and livestock manure. 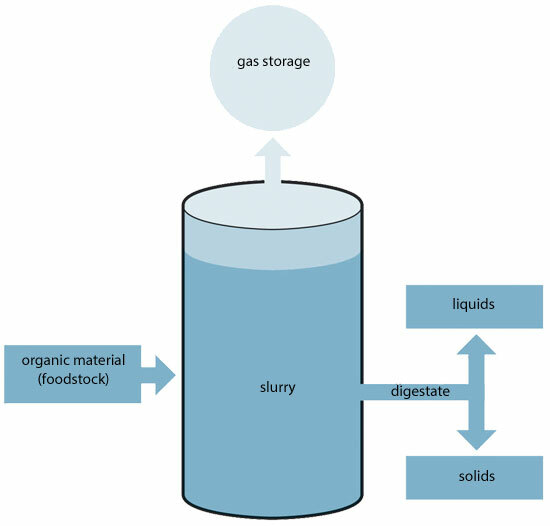 Organic materials mixed into a slurry and put in an airtight container produce combustible gases that can be used for cooking and heating, along with a bi-product of nitrogen-rich liquids and compostable solids, known as digest. Illustrations by James Provost, Courtesy Storey Publishing. 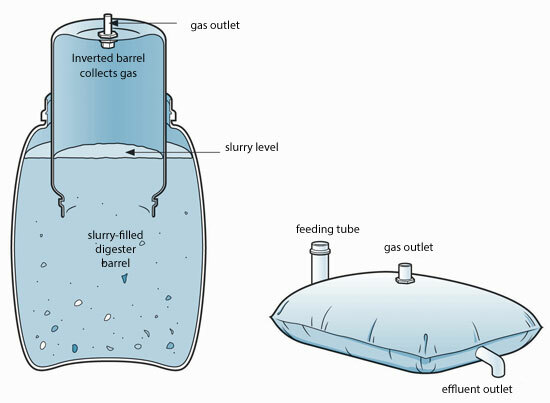 To start, a batch biogas generator can be made from two open-top barrels or a continuous-flow plastic bag generator. 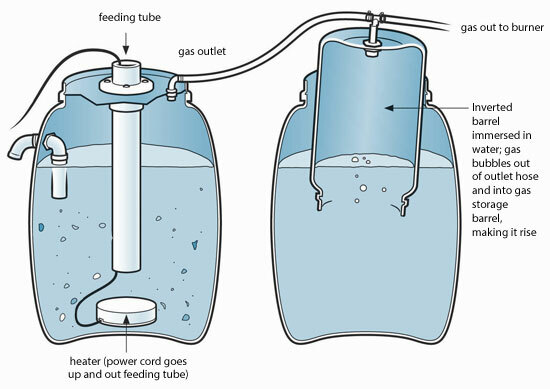 Store biogas in an inverted barrel immersed in water. For food waste, chop material into 1-inch or smaller bits, using a blender or a chipper-shredder if you would like to. Freshly cut grass clippings can produce about 11/2 cubic feet of biogas per pound. 20 pounds of grass clippings can generate one hour of cooking fuel (grass silage is even better, producing twice as much per pound). 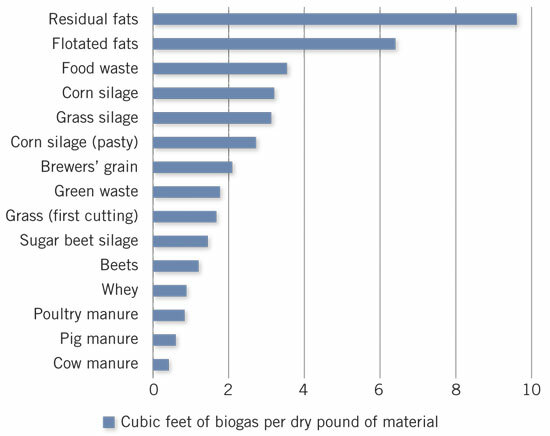 One cow will produce about 140 pounds (18 gallons) of manure each day, which could ultimately generate, on average, 85 cubic feet of biogas, or about three hours of daily cooking fuel. According to the U.S. Environmental Protection Agency, about 600 U.S. landfills capture methane to use in a variety of ways, including firing glass-blowing and pottery kilns, heating greenhouses, and even powering an ice rink. The chart of substrates is courtesy of David House. Dear David! Thank you so much for reaching out and letting me know. My apologies for not having the credits right away. I was away for a while without much internet access and am returning back to the work on the website, so I will make all of the proper edits to this post. Thank you for your work and for sharing the information. Have a good day!